I am extremely pleased and proud to announce the release of the long-awaited collaboration between respected noiseambient composer PBK and C. Reider of Vuzh Music. 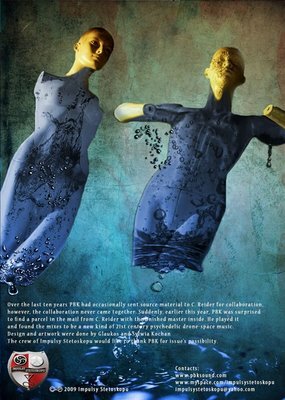 The release of this album is nearly ten years in the making, as sound sources have been exchanged over this long time between these two artists, finally culminating in a diverse and engaging set of industrial noise and ambient sound works, an incredible document of modern directions in abstract sound. 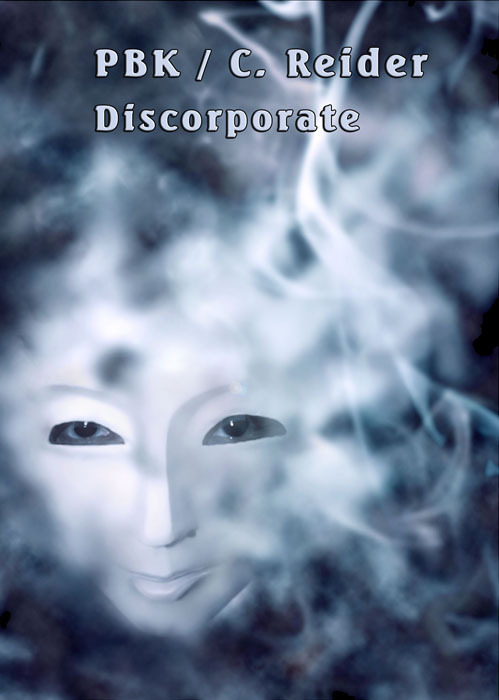 “Discorporate” (entry on Discogs) is now available on in an extremely limited edition of 120 from Impulsy Stetoskopu, (MySpace link which includes sound samples of the new release) an incredible Polish label who has released some outstanding noise from well-respected names in noise-music such as Hands To, Knurl, John Waterman, AMK and many others. I will have copies available very soon for anyone interested to own this rare CD here in the USA… PLEASE LEAVE A COMMENT or email if you’re interested and I will contact you when the album is available in the United States!